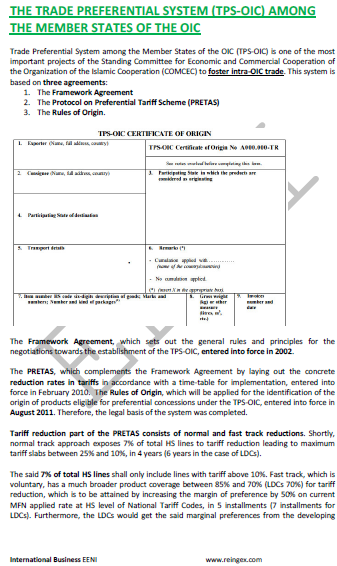 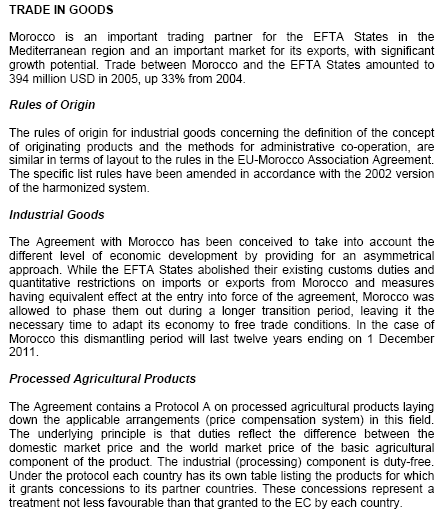 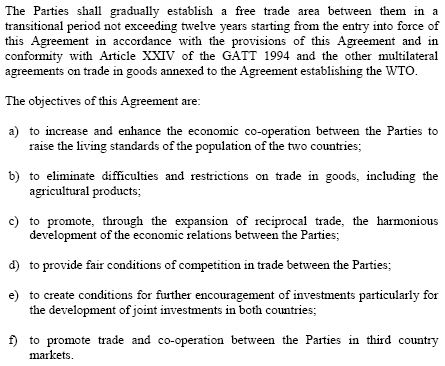 Syllabus of the Online Course (Subject): Foreign Trade and Business in Morocco. 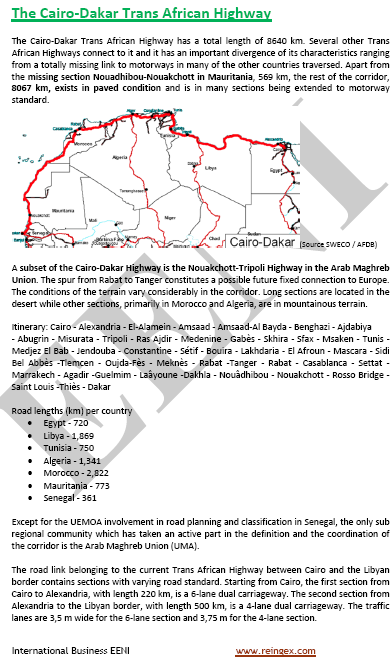 Rabat and Casablanca. 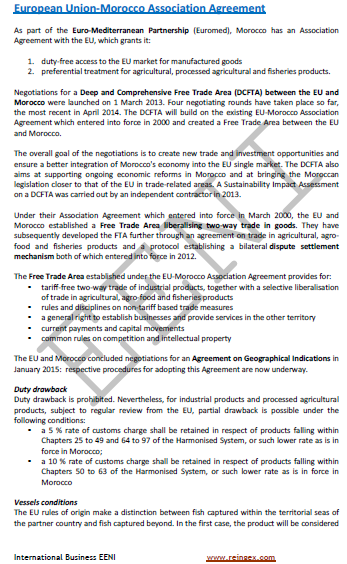 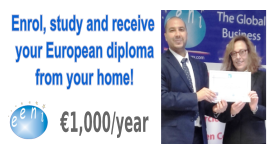 Description of the Online Course: Doing Business in Morocco. 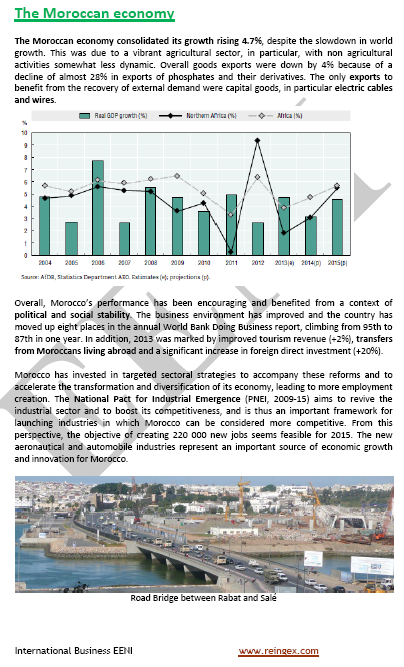 More information about Morocco (African Portal - EENI Business School & HA University). 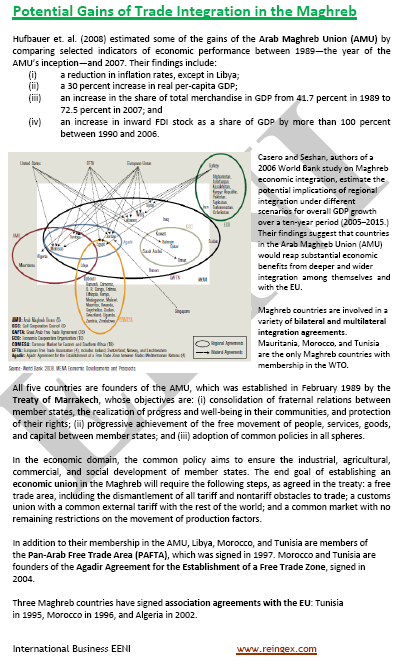 Morocco belongs to Maghrebian Economic Area (Islamic Civilisation and African Civilisation). 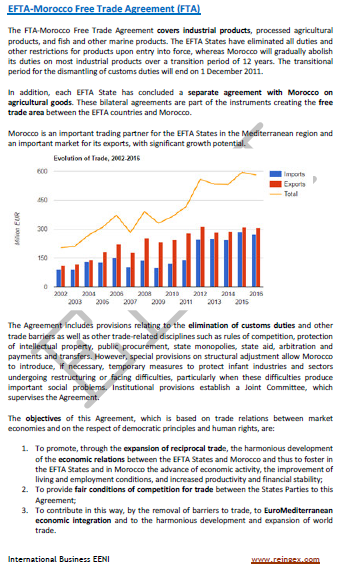 The Kingdom of Morocco: an African Frontier Market. 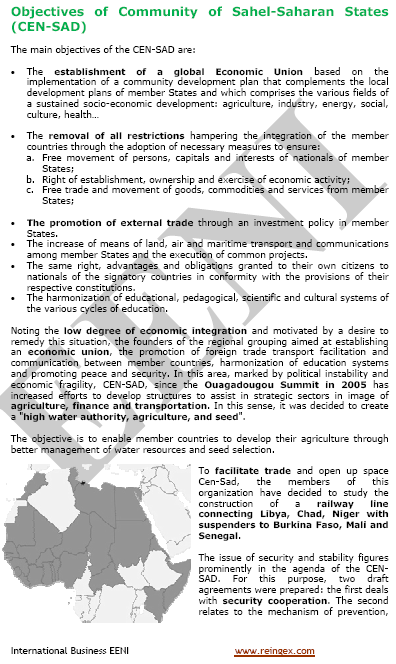 The Moroccan Businessman Emergence in Africa. 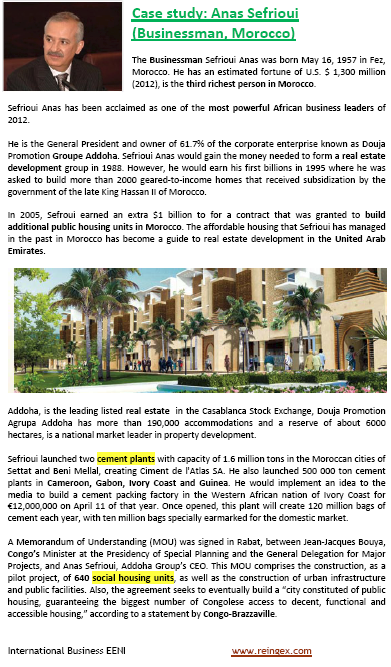 The Businessman Sefrioui Anas (1957) is the third-richest person in Morocco. 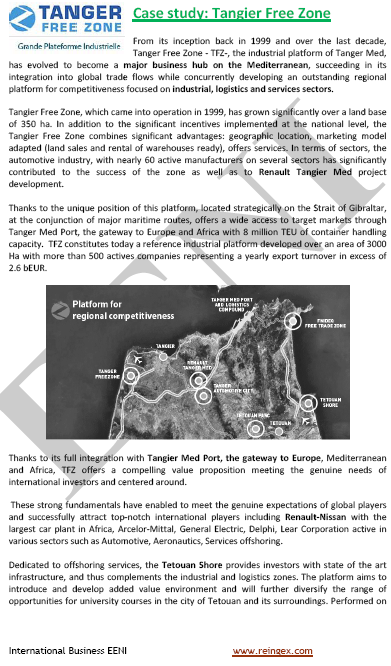 He is the owner (62%) of the Addoha Group. 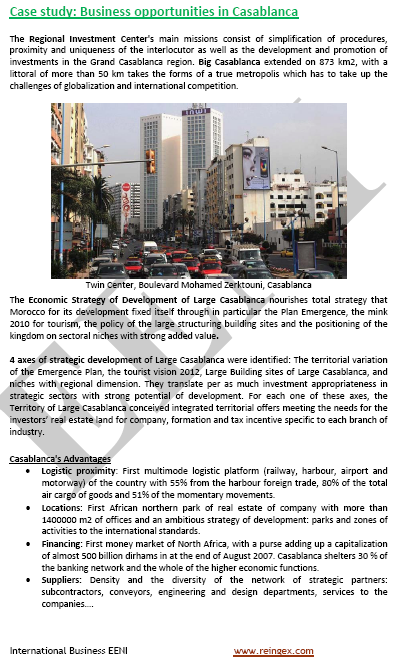 The Moroccan Businessman and politician, Miloud Chaabi (1930) is the founder of the Ynna Holding and owner of the chain of hotels “Riad Mogador” and supermarket group “Aswak Assalam” in Morocco. 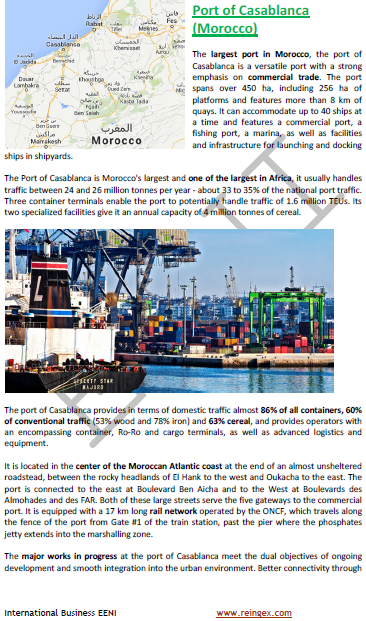 The largest port: Port of Casablanca.